There are times when it would be great to have our own miniature Suze Orman in our heads, a voice of reason to talk us down from buying that 72-inch 3D HD LED TV that’s calling our name from across the showroom. Luckily, Adaptu has the solution. Their new app includes a predictive spending feature–and just in time for the holidays. Whether we like it or not, there are times when it would be great to have our own miniature Suze Orman in our heads–a voice of reason to talk us down from buying that 72-inch 3D HD LED TV that’s calling our name from across the showroom. Sure, we could use our smartphone to scan a QR code, but that would only make matters worse. What we need is an app that could tell us whether we can actually afford it. Luckily, the folks at Adaptu have the solution. 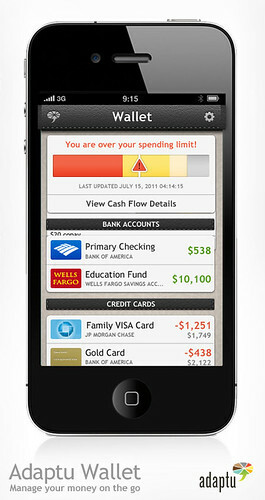 Their new app includes a predictive spending feature–and just in time for the holidays. Adaptu, providers of cloud-based financial life planning and management services, has been around for about a year. During that time, they listened closely to what their users wanted and the feedback they received was clear–create a mobile solution that manages finances on the go and supports purchasing decisions when people actually need it. Using Adaptu Wallet, users can quickly and easily link all of their bank, credit card, and investment accounts, as well as their airline rewards and customer loyalty cards in one centralized location. Beyond the obvious benefit of having all of your information at your fingertips, Adaptu Wallet also means your days of carrying around a wallet thick enough to make even George Costanza blush are coming to an end. Instead of lugging all of your loyalty cards with you everywhere you go, you can use your smartphone camera to capture and upload images of them. And once you’ve linked your rewards programs using their app, you can organize all of your rewards points totals and view updated, real-time balances right from your mobile device. Unlike other mobile apps, the Adaptu Wallet helps users plan, adjust, and account for future-dated transactions and view their cash flow past, present, and future (insert holiday Scrooge reference here). “With our new predictive spending technology, you can enter the amount you want to spend, say, on that new 3D TV. Adaptu looks at how much money you have coming in (salary payments) and what you have going out (mortgage, car payment, utilities) and calculates how much you really have left once all of your current bills are paid” said Mark Brundage, head of business development at Adaptu. The one obvious downside of having a predictive spending tool at your fingertips is that there’s a good chance it might tell you something you really don’t want to hear. Whether you like the recommendations or not, having access to that information will help you make more informed (and hopefully better) purchasing decisions. 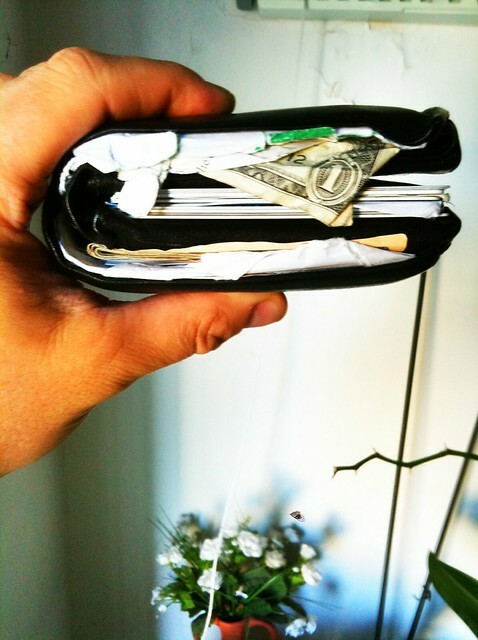 Will Adaptu Wallet be the end to overspending and the George Costanza wallet? How do you think predictive spending algorithms will influence customer spending (and trips to the chiropractor)? Leave a comment below.